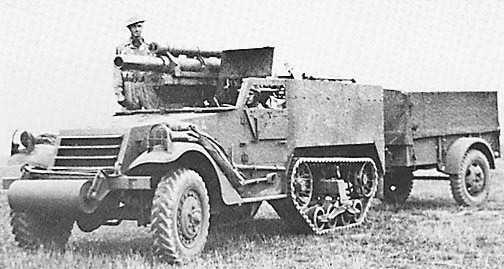 Notes Another self-propelled Howitzer based on the M3 chassis and built by Diamond T. The T19 mounted a heavier 105mm Howitzer and was employed in Cannon Companies for direct fire support. It was only issued as an interim vehicle until better designs came along and from 1942 onwards the T19 was gradually replaced by the M7 HMC. It served in North Africa, Sicily and Italy and a few saw action in the invasion of Southern France.